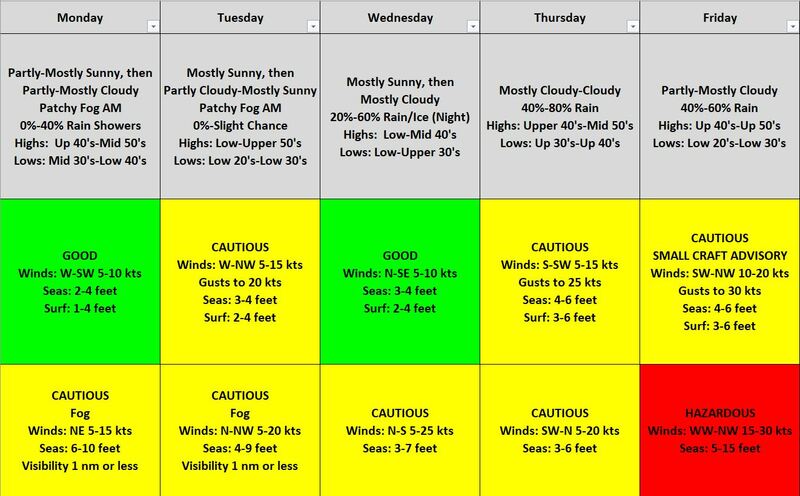 Another mixed week, though not as cold and some decent days for water conditions. Monday will be mostly dry with a chance of rain showers. Temperatures will be milder with highs in the 40’s and 50’s. Low will only be in the 30’s and 40’s. Fog is possible in the early morning and late night. Tuesday will be mostly dry. Highs will make it into the 50’s, with some areas pushing the 60’s. Lows will drop down into the 20’s and 30’s at night. Wednesday through Friday will have chances of rain. Wednesday northern areas could see ice or a wintry mix at night. Highs will be in the 40’s and 50’s with lows in the 20’s and 30’s. The weekend will be cooler with dry conditions on Saturday and showers possible on Sunday. Highs will be in the 30’s and 40’s with lows in the teens to 30’s. 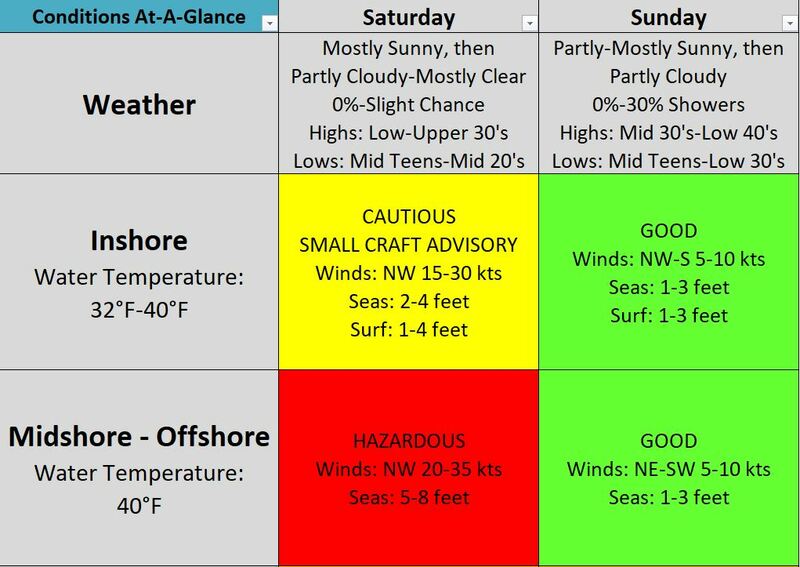 Water, surf and beach conditions will be mostly cautious to hazardous, but Monday, Wednesday, and Sunday will have good to borderline conditions. Water temperatures are in the 30’s and 40’s. As High Pressure continues to move offshore today, low pressure will develop over the Central Plains and move towards the Central Great Lakes on Monday. An associated weak warm front will lift north through the region Monday night, with a cold front then moving across the region Tuesday night. Several waves of low pressure will pass through the region later this week bringing precipitation and warming temperatures to the area. A cold front will move through the area Friday night ushering in cooler temperatures for the weekend.